Does your home have a New Year’s hangover? Declutter and Clean Now! The holidays are over, the guests have all gone home. As you look around your home, what do you see? Piles of papers and holiday greeting cards? Mountains of winter boots and gloves? Closets stuffed to the gills with toys, many of which you don’t even know if they work? Now what? Time to declutter and clean! Firmly set your resolve to clear out and clean up this home before spring. Especially if you are thinking of selling, January is a great time to do this. Clean up inside, and in a few months, you can spend those delicious spring days sprucing up the outside of your home and planting flowers instead of cowering under towers of clutter. And don’t worry, it’s not as time-consuming as you might think! Trying to shed your holiday weight? Start with a decluttering project! Many studies link clutter to obesity, so let’s start by shedding the things you don’t need and watch the pounds come off your body! In addition, a project like this will distract you from thinking about all those leftover cookies in the kitchen–which would be a good place to start. Toss all the junk food, and you’ve killed two birds with one trash can. Stop in at the local La Grange library, and you will find an entire section of books on decluttering. Or, you can just roll up your sleeves and do it now. Come back to this article afterward. Don’t worry, I’ll wait. Depending on your lifestyle and personality, you may want to tackle your decluttering project all at once or try doing it in 15 minutes a day. Either way, get the whole family involved, so they can share in your feeling of lightness and accomplishment! With your house bursting at the seams with new toys and clothes from the holidays, now is a great time to look at all of it (when you are still have that sense of abundance and feelings of overindulgence). Decide if it fits one of two categories that minimalists use when whittling down their stuff: do you use it or love it? If not, it needs to go. so grab a box or a garbage bag and start filling it up! When you’re done–quick! 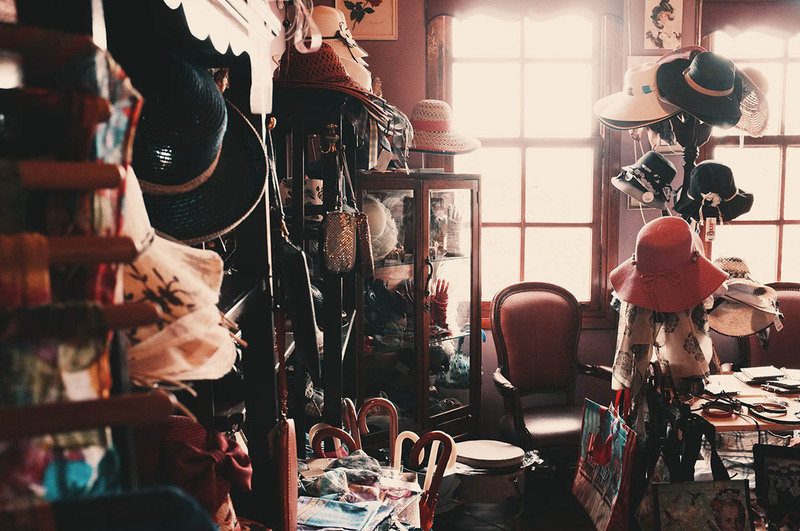 Before anyone changes their minds–take the stuff that can be reused by someone else down to your church for their rummage sale or donate it to a charity or a thrift store. There are plenty of places in town that would be delighted to have in-tact toys, gently used clothing, books you read once and won’t reference again, DVD’s the kids have outgrown, and nick-nacks that don’t enhance your life anymore. Hopefully you got through the paper clutter, too. The library will gladly take any expired magazines (just remove your mailing address). Most of your paper you can put into your recycling bin, but for the bills and statements with personal information on them, put them in a box and mark the next community shredding event on your calendar (usually sometime in May for us). Oh, boy, here we go. Blogs galore on how to keep your house clean, hacks to make it more simple and speedier. 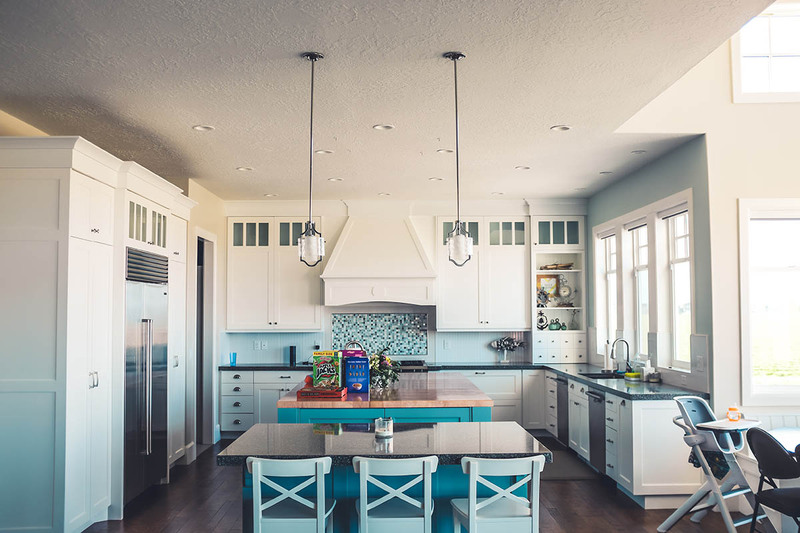 You can spend hours thinking about how to keep your house clean, so here are just a few simple ways to start right away. Keep your cleaning supplies handy and organized. Rather than storing them under your kitchen sink or in a linen closet, collect them all up in a caddie or bucket you can carry from room-to-room. Wear a utility apron or dedicated cleaning apron so you have places to stick tools while you need them. It sounds very 1950’s television housewife to wear an apron while cleaning, but I think they were on to something with this! There are lots of ways to clean your home, but a really simple one comes from Speed Cleaning, by Jeff Campbell. Don your apron, grab your caddie, and attack each room in a clockwise direction and moved from the top to the bottom. This helps to remind you to get the cobwebs out of the corners, wipe fingerprints off of walls and light switches, and get the dust down before you vacuum. You can also enlist the help of your family once a week to keep your work to a minimum and the fun to a maximum. Try giving each family member a task in each room and challenge everyone to a race. Reward them with a fun outing or a bowl of ice cream at the end–with bonus toppings for speed! There! You’ve done it. How do you feel? Does your house feel lighter, clearer, full of energy and space? What a great way to start off the new year! Now, resolve to keep this going. Every day, store the clutter, and really think about what you want to deal with at the end of this next year. If you bring one new piece of clothing in, send two out. Same with toys, nick-nacks, and anything that might compromise this wonderful feeling you have now. Make weekly cleaning a fun family event, and be open to the wonderful things I’m wishing for you in 2019!